Georgia, located at the crossroads of Europe and Asia, is a combination of uniqueness and diversity. The country, known as the cradle of wine offers Caucasus mountain range, Black Sea coastline, curative climate and mineral waters, national parks and UNESCO Heritage Sites, rich culture, delicious cuisine and famous Georgian hospitality. It is impossible to visit Georgia and not get charmed by its traditional architecture that counts more than 1300 years. Georgia has a unique, welcoming culture which explains its world-famous hospitality. With its own alphabet and language, and many world-famous artists, Georgia will surprise and delight you at every turn. 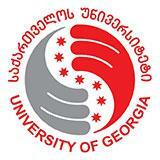 The University of Georgia is located in the center of the capital city of Georgia - Tbilisi, the city that lies in Eastern part of the country and is home to people of diverse cultural, ethnic and religious backgrounds. Studying at the University of Georgia opens doors to quality education and memorable student life. Georgia is known for its robust reforms in lieu of its strong aspiration to integrate with the European Union. Following the Rose Revolution in 2003, a series of meaningful democratic reforms were launched to introduce the European standards and innovative approaches to give way to fast development and decisive steps towards successful integration with the western institutions. As a result, today, Georgia is the leading tourist destination in the region, with excellent infrastructure to enjoy an unforgettable vacation, filled with activities to satisfy all tastes. Millions of tourists visit Georgia, all year around, for tourism in the mountains or on the sea side, or to experience the authentic nuances of Georgia’s unique, rich and diverse culture. All this is offered here in an impressively safe environment as Georgia is well known for being one of the safest countries in the world. Georgia’s European aspirations have paid off in terms of meaningful and decisive steps taken by the EU to ensure deep ties with the country. Only recently, Georgia has been approved for Visa Free Travel to the EU member states. Georgia is a small country situated on the crossroad of Europe and Asia. From the south-east it has a border with Azerbaijan, from the south – with Armenia and Turkey, from the north - with Russia. The western part of Georgia is washed by the Black Sea. Tbilisi is a capital of Georgia founded in the fifth century. Population of the country with total area of 69 700 square meters is 3 720 000 people. It is amazing but on this small land there are 26060 rivers and over 40 protected areas. That is why the vast part of the country is occupied by untouched nature. Amazing nature and the diversity of this country was the source of inspiration for a lot of writers and poets. Here we have everything that the traveler can only dream about: mountains of eternal snow, mountain lakes, alpine meadows, Canyon Rivers full of flowers and fruit, palm coasts, natural canyons, ancient caves, mineral waters and sulfur water pools – thus this place is indeed a heaven on Earth! In Georgia we have diverse climate zones that are why it is all year round destination. Here, subtropical and mild climate zones replace each other. Summer is sunny; temperature fluctuates from 29 ° C to 33 ° C., and in winter - from -2 ° C to 4 ° C. It does not matter who you are and what type of vacation you like, this country will satisfy your every wish and caprice! In Georgia it is said that the guest is the gift from God. For centuries Georgian people developed traditions of hospitality. Love and boundless respect for guests, devotion to host's duties, traditional feast is passed from one generation to another. As a result Georgian culture is distinguished by high culture of hospitality. .
Hectares of vineyards, Rtveli (Georgian harvesting) accompanied with polyphonic singing and clay vessels (Kvevri) full of wine – this is Georgia. Wine is everything here - everyone loves it. Every family will treat you with their own wine with great pleasure and pride. Vineyard is a sacred place for Georgians and winemaking – our beloved tradition. Nothing tells you more about the spirit and culture of a country than its cuisine. Georgian national dishes are amongst the best in the world for their diversity and taste. Each historical province of the country has its own distinct culinary tradition that was refining for centuries. Especially distinguished and unique are Imeretian, Megrelian and Kakhetian cuisines. Churchkhela – walnuts on a thread repeatedly dipped into a hot grape mixture, then hung to dry and harden in natural conditions. Georgian polyphonic music is globally prominent for its special harmonious sonority. Since 2001, Georgian polyphonic music is among UNESCO’s world intangible cultural heritage list. The polyphonic structure of this music has not changed over the centuries and still can be heard across the country - in the city and in rural areas, in the churches and monasteries and during various cultural events. Georgian traditional “Sufra” (table, feast) is unimaginable without this music. This sonority is the part of Georgians’ genetic code and most accurately expresses the character of this nation. Tbilisi has come a long way since the Rose Revolution of 2003. To Tbilisi's eternal charms of a dramatic setting in the deep valley of the swift Mtkvari River, picturesque architecture, an ever-lively arts and cultural scene, and the welcoming Georgian lifestyle have been added a whole new 21st-century dimension of inviting cafes and restaurants serving ever better food, up-to-date lodgings from backpacker hostels to international five-stars, funky bars and clubs, spruced-up museums, galleries, parks, plazas and whole streets, modernised transport and a sprinkling of eye-catching contemporary architecture. All of which make it a much easier, and more fun, city to visit and live in than it was less than a decade ago. But the old Tbilisi is still very much here too. The Old Town, at the narrowest part of the valley, is still redolent of an ancient Eurasian crossroads, with its winding lanes, balconied houses, leafy squares and handsome churches, all overlooked by the 17-centuries-old Narikala Fortress. Modern and ancient, Tbilisi remains the beating heart of the South Caucasus and should not be missed by any visitor. Good holiday, first and foremost, means a safe holiday. If you intend to travel to Georgia, relax about safety issues. According to Numbeo 2016 report, Georgia is the safest country in Europe. You will feel complete safety while traveling around the country. Friendly Georgians are always willing to assist you. You won’t need to take extra care of your pocket and handbag. Relax, and enjoy your precious time in this beautiful country. Electrical current – 220 Volts, 50 Hz. EU standard plugs work throughout Geor­gia. The country code is +995 and the area code for Tbilisi is 322. Georgian mobile operators (Geocell, MagtiCom and Bee­line) cover almost the whole territory of the country and there are many WI-FI zones that enable visitors to use the in­ternet for free. The official currency in Georgia is the Georgian Lari usually indicated as GEL. The Lari is subdivided into 100 Tetri. One GEL equals 0.38 Euro or 0.41 US Dollar (as of May 2017).